Universal Pictures Home Entertainment will release MGM’s Fighting With My Family digitally April 30, and on Blu-ray and DVD May 14. 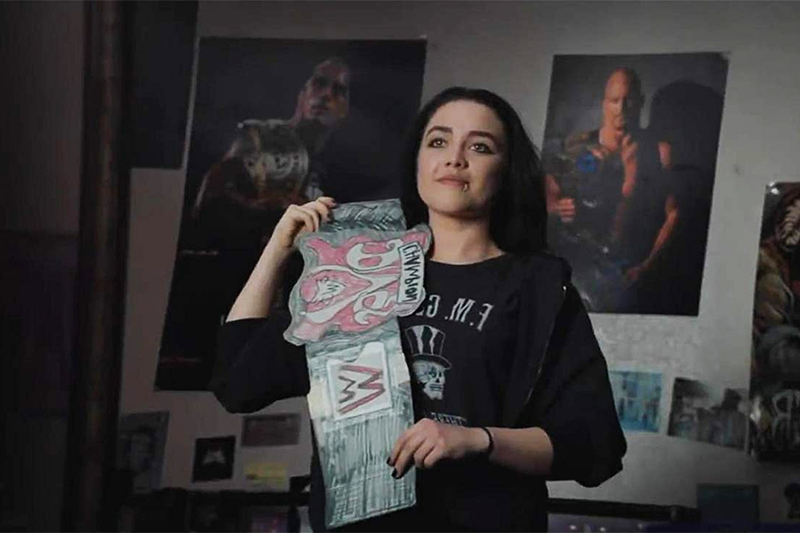 Written and directed by Stephen Merchant, the comedy set in the world of professional wrestling is based on the true story of WWE Superstar Paige (Florence Pugh). Born into a tight-knit wrestling family, Page and her brother Zak (Jack Lowden) are invited to try out for the WWE. But when only Paige earns a spot in the competitive training program, she must dig deep to prove she can become a star. The cast includes Lena Headey, Nick Frost, Vince Vaughn and Dwayne “The Rock” Johnson, who plays himself and also produced the film. Fighting With My Family earned $22.5 million at the domestic box office. The Blu-ray combo pack will include a director’s cut of the film with new and extended scenes not seen in theaters. 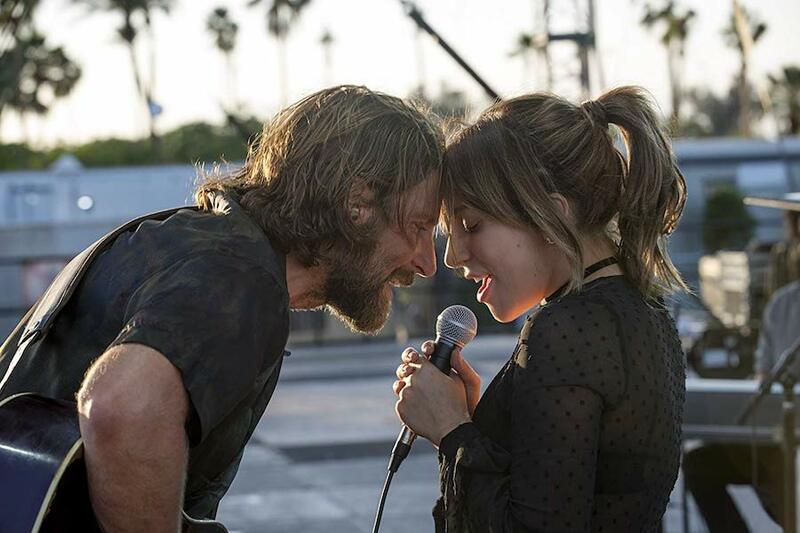 The DVD and Blu-ray will include deleted and extended scenes, a gag reel, a commentary with Merchant, the featurette “A Family’s Passion: A Making Of” and a “Learning the Moves” featurette about depicting the wrestling scenes in the film. Netflix has secured the rights to a feature currently titled John Henry and The Statesmen to be directed by Jake Kasdan and star Dwayne Johnson in a follow up to their teaming on Jumanji: Welcome to the Jungle. The film is an original pitch from writer Tom Wheeler (The Lego Ninjago Movie) and developed with Hiram Garcia, president of production, Seven Bucks Productions. Johnson will serve as a producer on the film in addition to starring as John Henry and leading an ensemble cast of the most popular figures from folklore and legend from all around the world, according to a Netflix release. Kasdan will also produce alongside Seven Bucks Productions’ Dany Garcia and Hiram Garcia and Beau Flynn of FlynnPictureCo. Seven Bucks Productions and FlynnPictureCo. most recently wrapped Johnson’s Jungle Cruise for Disney. Johnson and Seven Bucks are currently filming Universal’s Hobbs and Shaw in London. Kasdan is in pre-production on a sequel to Jumanji, which Sony will release in December 2019. Wheeler is currently show running the Netflix original series Cursed, based on a book he authored, illustrated by Frank Miller. Rated ‘PG-13’ for sequences of gun violence and action, and for brief strong language. Stars Dwayne Johnson, Neve Campbell, Chin Han, Roland Møller, Noah Taylor, Byron Mann, Pablo Schreiber, McKenna Roberts, Noah Cottrell. Writer-director Rawson Marshall Thurber pivots from comedies to action in this slick hybrid of the Die Hard and Towering Inferno formulas that provides plenty of excuses for Dwayne Johnson to run around and beat people up. An added twist to the Johnson tough-man routine this time around is that his character is an amputee — a former FBI agent who lost a leg during a hostage negotiation gone wrong in the film’s opening scene. Cut to 10 years later and Johnson’s Will Sawyer character is now a security consultant for a new, mile-high skyscraper in Hong Kong. The top half of the building is mostly unpopulated since it’s so tall the developers are having trouble securing sufficient insurance to allow people to move into the residential floors, with Sawyer and his family the only residents aside from the owner in the penthouse suite. An inspection by representatives of the insurance company thus gives some bad guys an opportunity to take control of the building and set it on fire as they carry out an agenda against the guy who built it. The filmmakers have no qualms about any comparisons between this film and the original Die Hard. There’s even a jokey deleted scenes in which Sawyer ponders that his next step should be to call Bruce Willis. 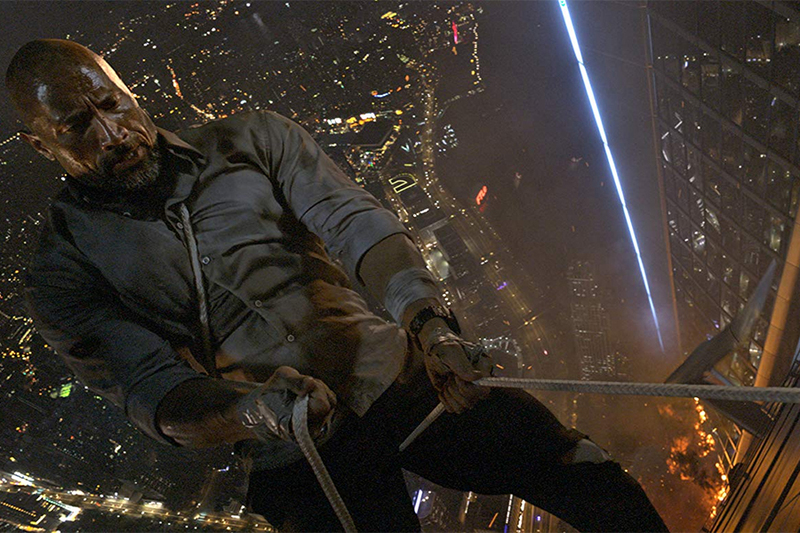 What sets Skyscraper apart, to a degree, is the way the building itself becomes a character in the story — imbued with plenty of design quirks to aid in setting up a variety of action scenes. It even has a multi-leveled park halfway up so that Sawyer’s family can find themselves in the middle of a forest fire 2000 feet in the air. The top-notch production design really gives the film a visual flair that is only enhanced by the film’s ability to get down and dirty with its characters. Campbell’s character in particular is allowed to evolve beyond the typical wife-in-distress role, given a military background that pays off as she holds her own in several fight scenes of her own. Otherwise, though, the villains are mostly a cookie-cutter assortment of disposable henchmen inserted when needed into the story to provide more obstacles for the Sawyers to overcome. The Bu-ray includes about 18-and-a-half minutes of traditional-style behind-the-scenes featurettes that focus on developing some of the key characters and finding the right actors to portray them. There’s also a cute story about how Thurber pitched the film to Johnson, with whom he previously worked on Central Intelligence. Most of the details of the making of the film are revealed in a feature-length solo commentary from Thurber, who says he has envisioned making a movie like this since he was 8 (he’s 43 now). The Blu-ray also includes more than 22 minutes of deleted and extended scenes, including a lot of excised exposition that offers more details about how the bad guys’ plan is supposed to work. These are fine to have on the record but ultimately would have worked against the pacing of an action film that ended up a tight hour and 42 minutes (which Thurber points out in optional commentary available with the scenes). Also included with the deleted material are alternate versions of scenes involving the primary Hong Kong police characters in which they speak English in one version and Cantonese in the other. Thurber shot these scenes in both languages before deciding that having the Chinese characters speaking their native language better served the film. Universal Pictures Home Entertainment will release the action movie Skyscraper through digital retailers and Movies Anywhere Sept. 25, followed by Blu-ray, DVD, 4K Ultra HD Blu-ray, 3D Blu-ray and on demand Oct. 9. The film stars Dwayne Johnson as a security expert trying to rescue his family from a fire in the world’s tallest building and clear his name after being framed for setting the blaze in the first place. The cast also includes Neve Campbell, Chin Han, Roland Møller, Pablo Schreiber and Hannah Quinlivan. Directed by Rawson Marshall Thurber. the film has earned $66.8 million at the domestic box office. 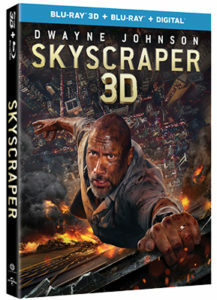 Bonus materials include feature commentary from Thurber; deleted scenes and extended scenes with optional commentary; the featurette “Dwayne Johnson: Embodying a Hero”; the featurette “Inspiration,” focusing on the real-life inspiration for Johnson’s character; “Opposing Forces,” a focus on the film’s female stars; “Friends No More,” an in-depth look at a key fight scene; “Kids in Action,” a look at some of the stunts involving the children in the cast; and “Pineapple Pitch,” a recollection from Johnson about how Thurber pitched the film to him. Rated ‘PG-13’ for sequences of violence, action and destruction, brief language, and crude gestures. Stars Dwayne Johnson, Naomie Harris, Malin Akerman, Jake Lacy, Joe Manganiello, Jeffrey Dean Morgan. Movies based on video games often run into trouble when the screenwriters deconstruct the original premise of the game to the point where it either barely resembles the source material or loses the sense of fun that made the game popular to begin with. On the other hand, some arcade games have a premise that is so basic that a convoluted screenplay is almost required to translate it into a movie. 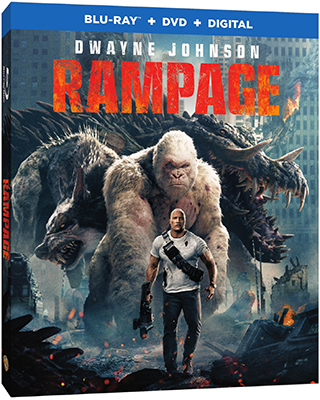 Rampage, based on the 1980s Midway smash-em-up game that gave players the option to play as one of three mutant creatures attacking a city, manages to find a balance between the two extremes, using an evil corporation storyline to explain how a gorilla, a wolf and an alligator mutate into giant monsters and lay waste to Chicago. The film jettisons the game’s notion that there are people who morph into the creatures — an aspect of the game’s constant replayability — in favor of a storyline involving a gorilla expert (Dwayne Johnson) caught up in a corporate conspiracy to weaponize genetic engineering. The script doesn’t delve too deeply into the tropes it needs to use to get to the meat of what the game is about, and that’s giant creatures attacking everything around them, eating people, destroying buildings and causing all-around mayhem. Johnson is pretty much settled into his generic action-star persona at this point, to the degree that his character has a name but it doesn’t much matter what it is. This is his third collaboration with director Brad Peyton, following Journey 2: The Mysterious Island and San Andreas, and the pair demonstrates a reliable confidence in delivering audience-pleasing action that doesn’t rely on over-complicating the storyline. Likewise, Jeffrey Dean Morgan isn’t doing much more than a more benevolent take on his smarmy Negan character that made him a popular mainstay on “The Walking Dead.” But, again, it’s all in service to the central concept of getting the giant animals to a big city and trashing it. Other featurettes, running between 10 and 12 minutes each, include a look at the stunts, the designs of the monsters, the attack on Chicago and the development of the Gorilla, George. 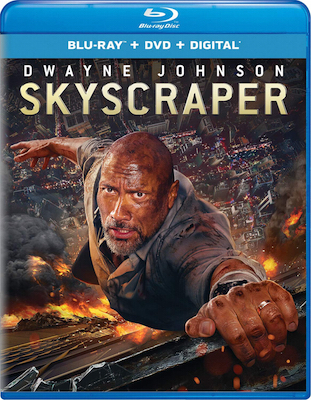 The Blu-ray also includes a nearly three-minute gag reel and more than 10 minutes of deleted scenes, including an excised cameo from San Andreas co-star Alexandra Daddario. 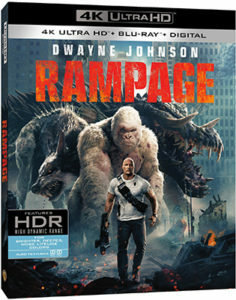 Warner Bros. Home Entertainment will release Rampage digitally June 26, followed by disc releases on Blu-ray, DVD, 3D Blu-ray and 4K Ultra HD Blu-ray July 17. 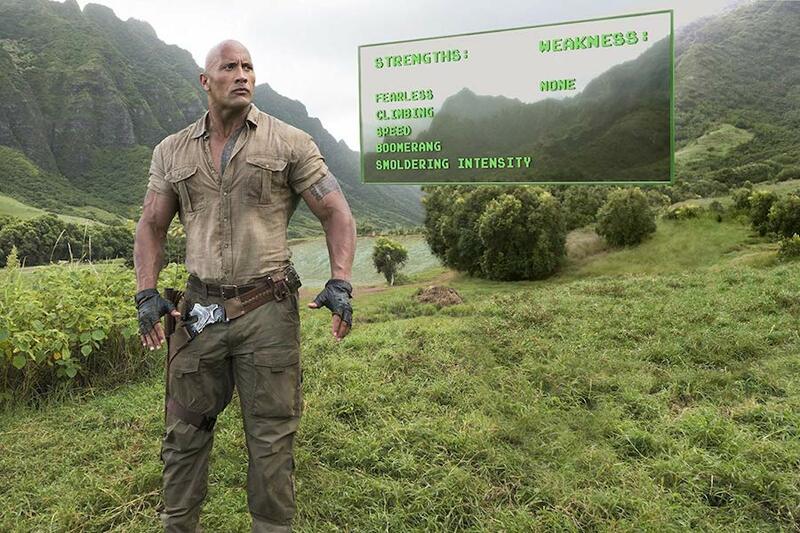 Based on the popular arcade game, the action-adventure movie stars Dwayne Johnson as a primatologist who must confront the results of an experiment that has mutated animals into gigantic creatures that destroy everything in their path. 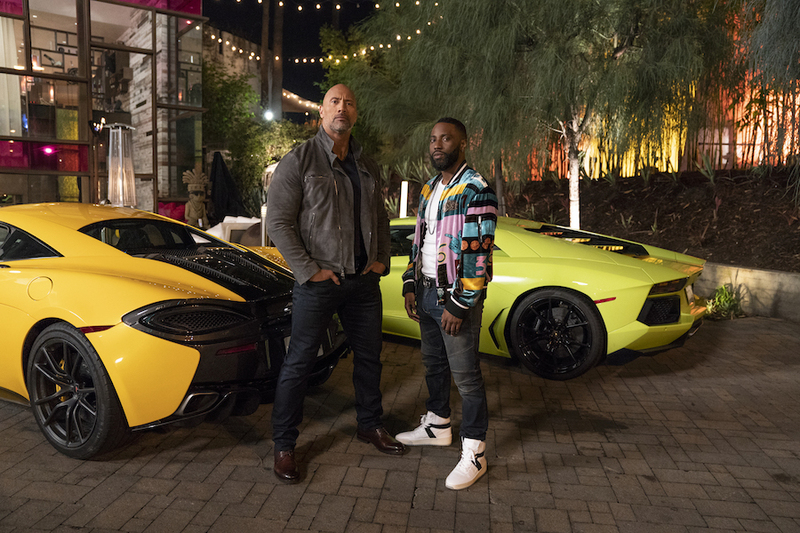 The film re-unites Johnson with director Brad Peyton, the pair having previously worked together on San Andreas and Journey 2: The Mysterious Island. The cast of Rampage also includes Naomie Harris, Malin Akerman, Jake Lacy, Joe Manganiello, Jeffrey Dean Morgan, P.J. Byrne, Marley Shelton, Breanne Hill, Jack Quaid, Matt Gerald, Jason Liles, Demetrius Grosse and Will Yun Lee. The film has grossed $94.2 million at the domestic box office and more than $413 million worldwide. The Blu-ray and DVD versions will include the featurette “Not A Game Anymore,” about how the Midway video game inspired the filmmakers. 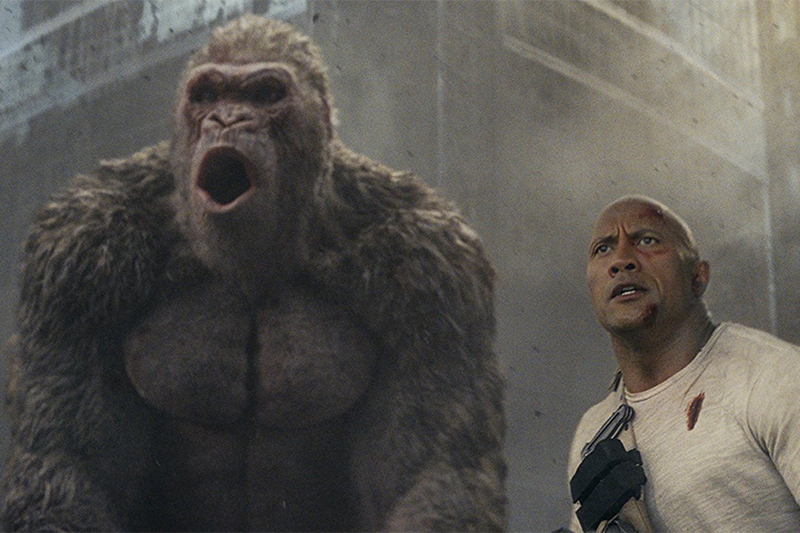 The Blu-ray versions will also include deleted scenes, a gag reel and additional featurettes: “Rampage — Actors in Action,” about the stunts; “Trio of Destruction,” about the visual effects; “Attack on Chicago,” about filming in the city; and “Bringing George to Life,” about creating the film’s central gorilla character. The 3D and 4K Blu-rays of Rampage will feature a Dolby Atmos soundtrack remixed specifically for home theater environments. The 4K Blu-ray also features Dolby Vision HDR. 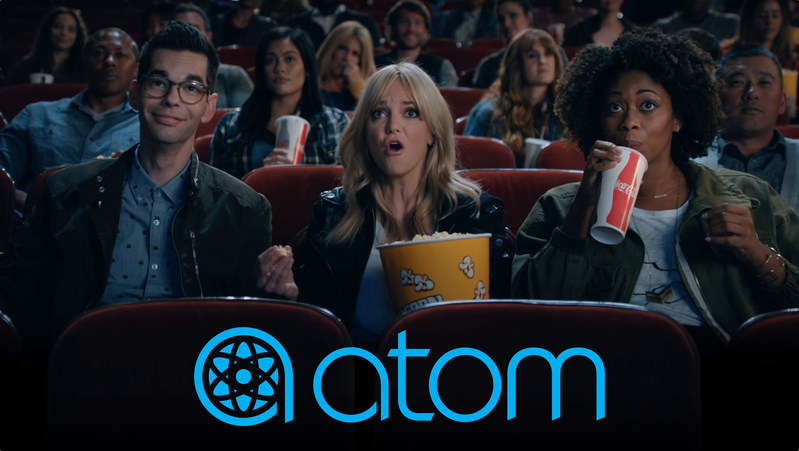 Atom Tickets, the online movie ticket service funded by Lionsgate, Disney and 20th Century Fox Film, among others, May 23 rolled out its first national marketing campaign, which includes a TV spot featuring actress Anna Faris (“Mom”), and directed by Peter Berg (Lone Survivor, The Kingdom, Patriots Day). Designed to appeal broadly to all audiences, the campaign positions Atom as a fan’s passport to an “elevated experience” that can only be delivered by the platform’s app – and social media. The spot showcases Faris playfully scanning her Atom digital ticket to enter the theater, enjoying popcorn in her seat, and feeling thoroughly delighted by the experience. “The campaign reinforces our key value propositions of share-ability, flexibility and convenience in purchasing movie tickets using Atom,” Amber Tarshis, head of marketing for Atom Tickets, said in a statement. The ad will also run in theaters and online on Hulu and YouTube. Additionally, Atom is partnering with ESPN and PopSugar to specifically target the entertainment male and female audience. The campaign follows actor Dwyane Johnson, his ex-wife and business manager Dany Garcia, and their production company, joining Atom’s advisory board. Atom Tickets, the online movie ticket service backed by Lionsgate and 20th Century Fox, among others, May 21 announced the addition of Dwayne Johnson and his production company to its advisory board. Johnson, his business partner/ex-wife Dany Garcia and Seven Bucks production company will provide their “expertise” to the ticket startup. Other advisory board members include Steven Spielberg, J.J. Abrams and Tyler Perry. Matthew Bakal, co-founder of Atom Tickets, said Johnson brings a “unique and impressive connection” to moviegoers, that apparently will translate into ticket purchases. “We’re honored to have the opportunity to tap into his passion for the motion picture industry to ideate the possibilities,” Bakal said in a statement. 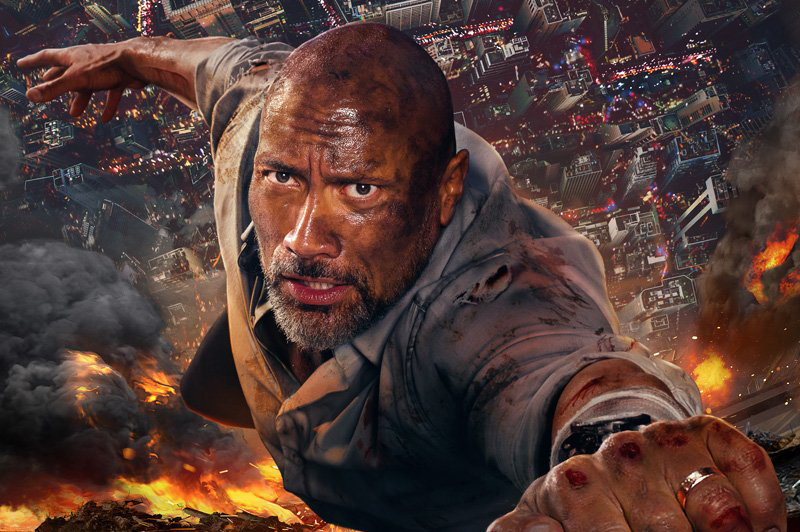 For Johnson, star of myriad action movies, including Sony Pictures’ Jumanji: Welcome to the Jungle, New Line’s Rampage and upcoming Universal Pictures actioners, Skyscraper and Red Notice, partnering with Atom Tickets bring the moviegoing experience to consumers before they enter the theater. The free Atom Tickets app and website provide relevant movie reviews, trailers and synopses to help consumers make the best decision on what to see. App users can invite friends (via their contact lists) to purchase their own Atom tickets, among other features.